Are you confident that your club is compliant with all legislated requirements? Rules and regulations are ever-changing, when did you conduct your last review? If AUSTRAC conducted an audit today, do you have all the necessary measures, monitoring and reporting? 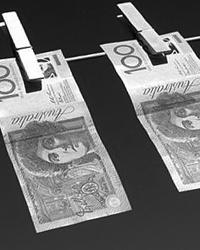 On the 18 May, AUSTRAC issued notices to a Canberra club stating that it had to comply fully with the AML/CTF Laws. The club now must appoint an approved external auditor to undertake a full audit of their systems and provide directives to the club on how they can achieve compliance. This will be a time-consuming and very expensive exercise for the club and it could have been avoided! Undertake regular internal reviews of your club’s program and the recording and information gathering systems you have in place. Ensure that AML/CTF is a meaningful standing agenda item at your club’s board meetings. Ensure that your recruitment process includes due diligence procedures, in line with requirements set by the AML/CTF rules. Engage an independent third party to review your program on an annual basis, to ensure the program and monitoring procedures are measured against regulatory compliance requirements. Engage industry experts to facilitate training for staff and management to ensure understanding of the program and individual responsibilities can be validated. There are many facets to club compliance – systems and recording; customer service and care; employee recruitment and training; financial disclosure and reporting…the list goes on. How prepared is your venue if AUSTRAC conducted an audit visit today? Are your systems and recording mechanisms are up to scratch? How much do you know about the program that is in place at your club? Are you confident that your compliance officer and relevant staff are actively monitoring and complying with the requirements of the implemented program? Do you have suitable systems to gather the ‘Know Your Customer’ Information? Are your transaction monitoring systems compliant? Are you conducting enhanced customer due diligence? How do you ensure that employee due diligence is undertaken effectively? Are your board and senior management discharging their duty to provide adequate oversight? Are your systems being monitored and recorded effectively to ensure your venue would pass a visit from an AUSTRAC Inspector? With a well-prepared plan in place that encompasses all of the compliance requirements, processes, rules and regulations, you will promote an efficient and safe environment – for your customers to enjoy, employees to flourish in, and your venue to strengthen and grow. So don’t wait until AUSTRAC comes calling, make sure your club is audit-ready. Need some help getting audit-ready? DWS can assist with all of your compliance concerns – from assessing your current set-up and providing advice to delivering your entire program and ensuring compliance. For more information on how we can help your business avoid a stressful AUSTRAC situation, contact one of our friendly consultants at safety@dws.net.au or (07) 3878 9355.